Property expert and leading workplace consultant, Saracen Interiors has been awarded the contract to refurbish Belvoir’s Harrogate offices. The announcement follows on from the specialist lettings and property sales agent naming Saracen as an approved supplier in recent weeks. The five-week project, which is due to start at the end of July, comprises a full redesign and refurbishment and is to be completed in line with Belvoir’s rebrand, which is expected to roll out across all of the company’s UK premises. Saracen will strip out the old fittings and refurbish the Harrogate branch according to Belvoir’s latest specifications, working around staff and customers during office hours. Saracen’s relationship with Belvoir has been established by the company’s Northern office which was launched last year to address the needs of its national client base and to further develop business in the North. The team, based in Wakefield, has already been shortlisted for a series of specialist awards based on its work in Yorkshire and is working hard to reflect the company’s successes in London and the South East. Saracen has a proven track record in improving workplace efficiency and corporate standing with its tailor-made, cost-effective solutions. Besides major fit outs and refurbishments, it offers a complete raft of commercial property services, including small works, facilities management and office moves. 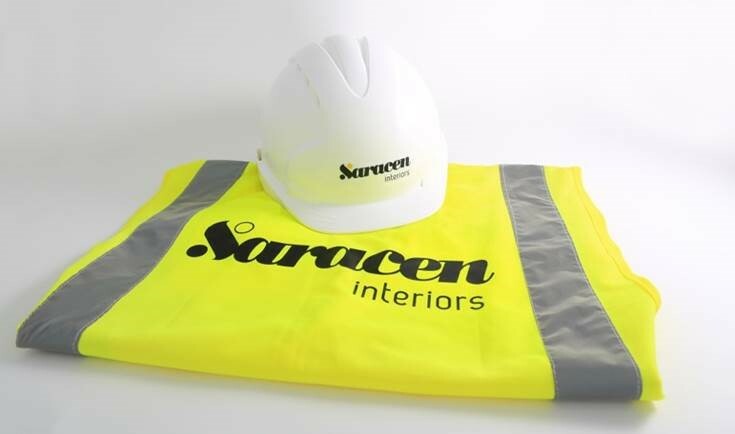 Saracen’s recent clients include Coca-Cola Enterprises, CH2M Hill, YUM Restaurants, Tata Communications, TE Connectivity, Loma Systems, Gray’s Inn Chambers, Libra Group, Creature of London, Aspect Property Group, Motofix, Flight Safety, Countrywide PLC, Knight Frank, Mitie Engineering, Pizza Hut, Redrow Homes, Thames Water, Toshiba, TAG Aviation, Viatel, BAE Systems, Sue Ryder Care, North Surrey Primary Care Trust, Royal Berkshire and Battle Hospital NHS Trust.